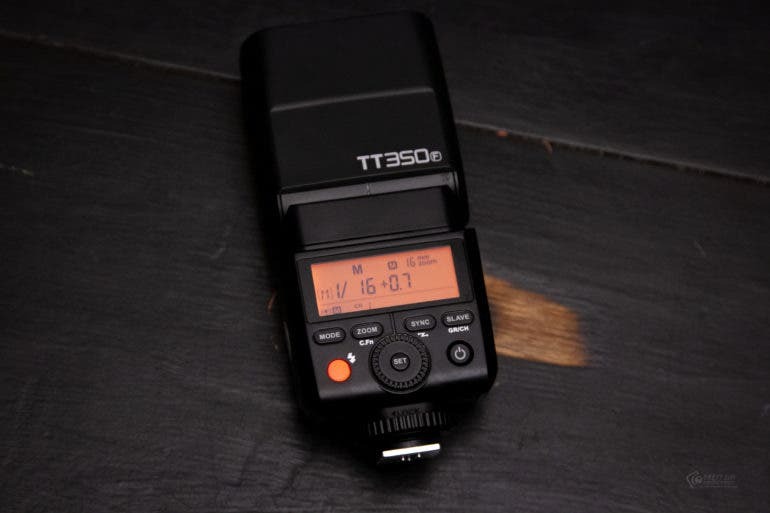 The Godox TT350F is an affordable flash for Fujifilm Shooters, but you get what you pay for. Godox are synonymous with producing good quality lighting at prices that make the accessories affordable to the masses. Their flashes are well built, and they have one of the most robust, user friendly wireless trigger systems around with their R2 triggers. The Godox TT350F is a small, affordable flash that has been designed to work with Fujifilm’s smaller Mirrorless camera bodies, but can it live up to their reputation of producing quality products that are affordable? The Interfit Honey Badger Unleashed is this generation’s version of the Paul C Buff White Lightnings; but they’re a million times better. I admittedly took my time with testing the Interfit Honey Badger Unleashed because of just so much stuff that we’ve had to test since Photokina and with not being motivated when it came to portraiture. But in my experiences with it, the Interfit Honey Badger Unleashed has proven to me that if you’re in the market for an introductory TTL/Manual/HSS monolight when your flashes just aren’t cutting it, this is the only option that really exists. 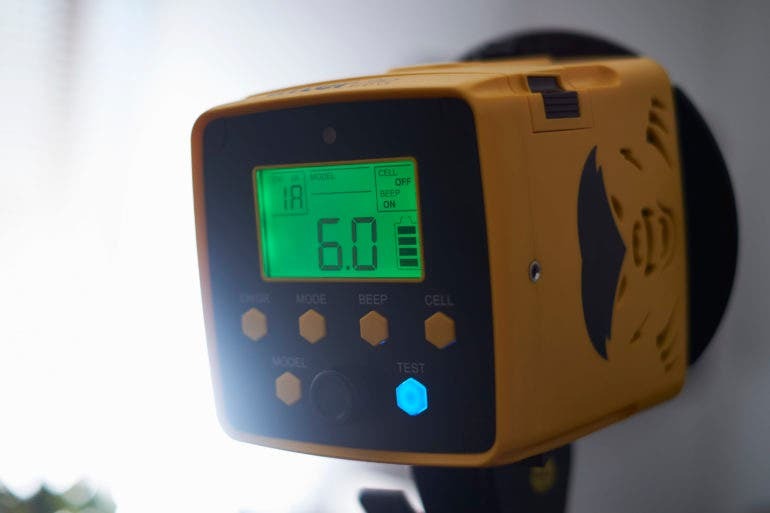 While Godox, Adorama Flashpoint and B&H Impact make usable products I think that the Interfit Honey Badger Unleashed does a whole lot for the dollar. With TTL capabilities and a pretty solid build quality, the Interfit Honey Badger Unleashed also boasts a pretty simple to use interface and reliability in a number of situations. And if all you really need is the power, then this is one of the best options on the market. The Flashpoint XPLOR 600 Pro TTL is a professional grade monolight with a competitive price tag. The Flashpoint XPLOR 600 Pro TTL Battery Powered Monolight is an improved version of the already excellent Flashpoint XPLOR 600. 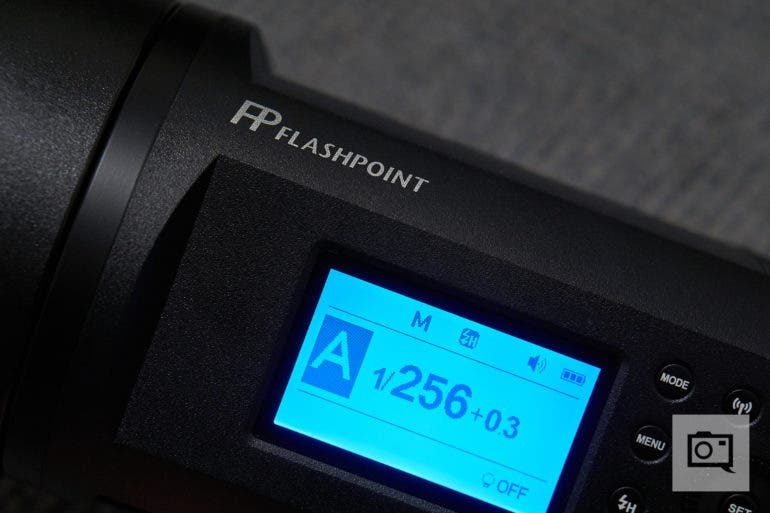 While Flashpoint may be a relatively new player in pro grade camera lighting equipment market compared to established European brands like Broncolor, Elinchrom, and Profoto, they have been developing and releasing new products at a rapid pace–putting the old guard on notice with competitively priced products as well as offering support to camera systems that didn’t necessarily get the same level of love from the European brands. For those not aware, Flashpoint is actually one of Adorama’s in house brands, with Chinese lighting equipment manufacturer Godox being the OEM, and the Flashpoint XPLOR 600 Pro can also be found under the Godox brand as the Godox WITSTRO AD600 Pro. 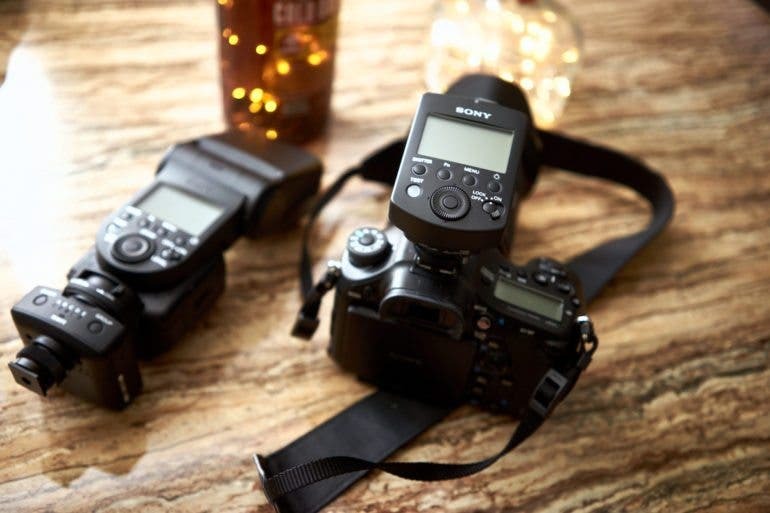 The Godox XProF Wireless Flash Transmitter is proof of Godox’s drive to change the market. When the Godox XProF Wireless Flash Transmitter was announced and finally on the market, I strongly believe that serious Fujifilm camera users must have jumped for joy everywhere. Finally, you could use flashes for other camera systems with your camera and still be able to get full TTL and other parameters. In this case, you can do it all with Godox’s own system. If you’ve got flashes for Sony, you can control them with this transmitter. I’ve tested this with Nikon before, and when I did I wasn’t able to get TTL due to firmware updates being only compatible with PCs. But now that I own a PC (and a Mac) and I purchased the Godox XProF Wireless Flash Transmitter for Fujifilm, I was able to use the same flash with two different system seamlessly. The Profoto B10 is the one light that I’ve been wanting for many years. As you can already tell, I’m a fan of the newly announced Profoto B10 light. For years I’ve been looking for something more powerful than a small hot shoe flash. 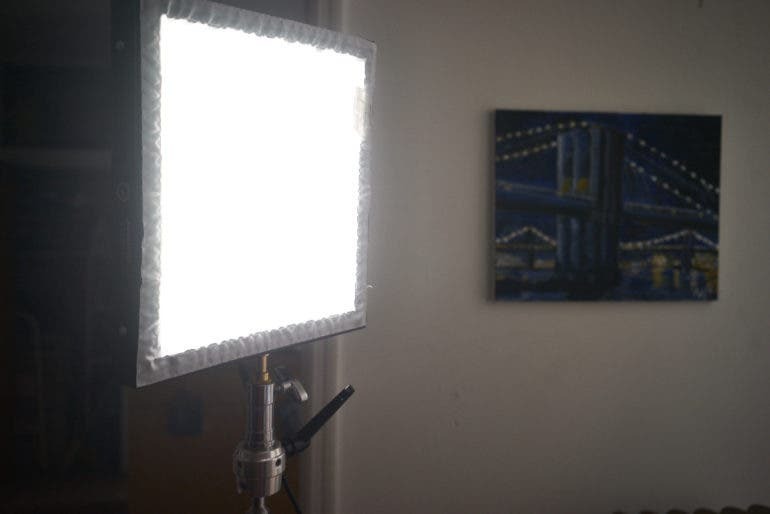 I wanted something that stays small and it didn’t need to be as powerful as the B1, B1x, or the Einstein E640 that I used to call my bread and butter light. With the sea of products that Godox releases and that B&H Photo and Adorama rebrand, you’d think that there are lots of great lights out there. And there are, but they’ve got problems. 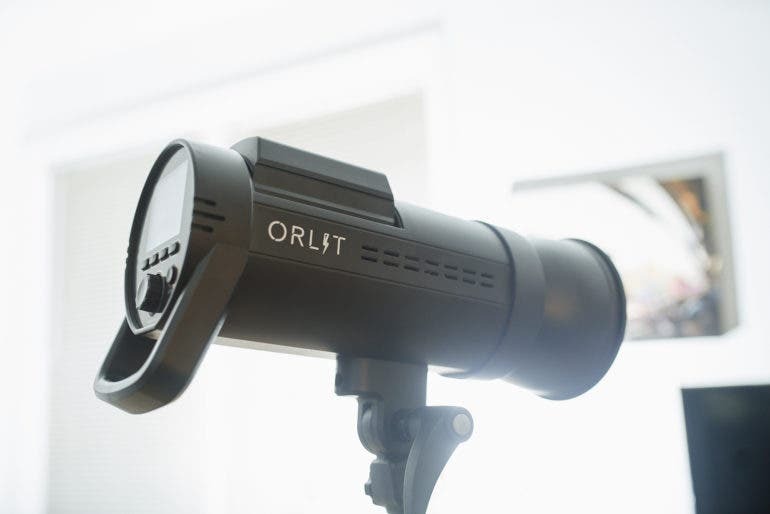 The ORLIT RoveLight RT 610 TTL Monolight gives you a whole lot in an affordable package. Adorama’s ORLIT RoveLight RT 610 TTL Monolight is quite a powerful package. 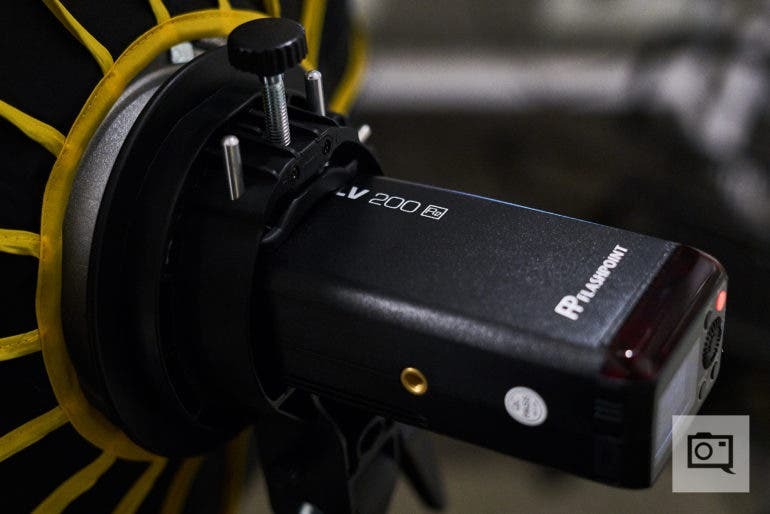 With 600 watt seconds of power, it’s going to give you more than enough light output to light a wedding hall and for most portraiture gigs. Attach a very big umbrella to it and it will obviously deliver enough power. But then consider how simple it is to use. Adorama has been refining this over the years with their Flashpoint brand and while it is more or less a variation of a GODOX light, the difference is that you can get quicker service often from Adorama right here in the US. While you’re not getting the Profoto name or build quality, I can almost guarantee you that photographers who use this light won’t be able to tell the difference between the light output from the ORLIT and a Profoto’s. 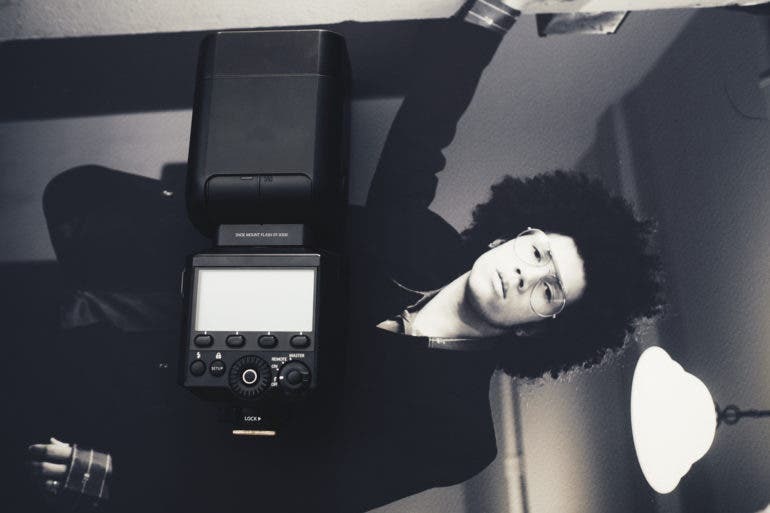 The Profoto A1 is what many photographers have wanted for a while. But is it the perfect tool? 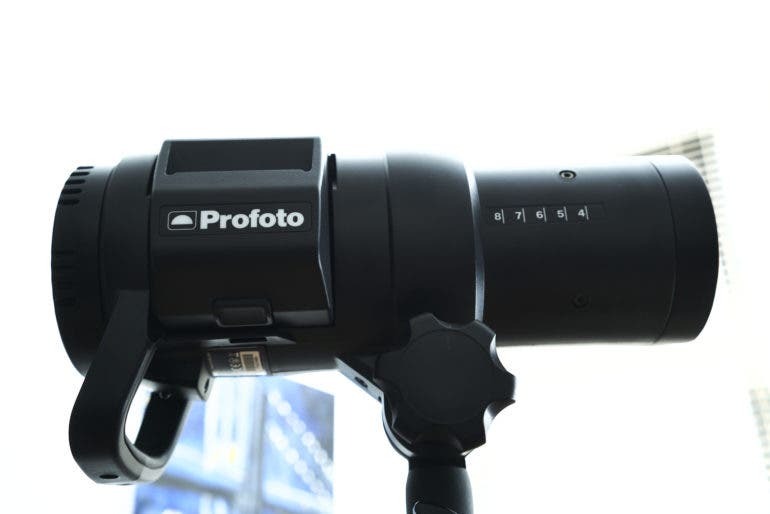 When the Profoto A1 was announced, I was very curious. Granted, I love lights that are as small as speedlites, but also thoroughly enjoy the power a full blown monolight provides. I was reminded of that even more so on a recent Sony Press trip. In many ways, and for the wedding photography crowd, the Profoto A1 could be the absolute most perfect light ever made. It offers a lot of color consistency, has a fast recycle time, works best with fast lenses, is small, and can integrate with whatever supported camera system you have when used wirelessly. It isn’t bad for location shoots either. 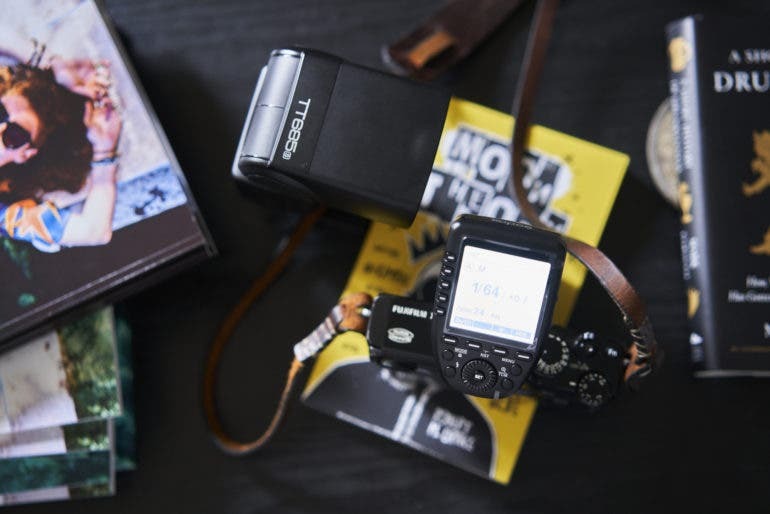 Then, you consider just how fantastic the battery life is and how critical that is to wedding photographers, and you realize you have a perfect product for a working pro. But at the same time, you’ll need to justify the price. And if you’re a location portrait shooter, you’ll really need to remember to bring your fast lenses with you. In many cases I saw, F2.8 zooms just won’t cut it. The Godox Xpro-N TTL Wireless Flash Trigger is a fantastic option with one big, glaring problem. It’s no secret at this point that Godox makes some fantastic products, so when the Godox Xpro-N TTL Wireless Flash Trigger came in for review I was really optimistic. The small China based company has been producing flashes and triggers that have been putting the Japanese to shame at a much more affordable price point. 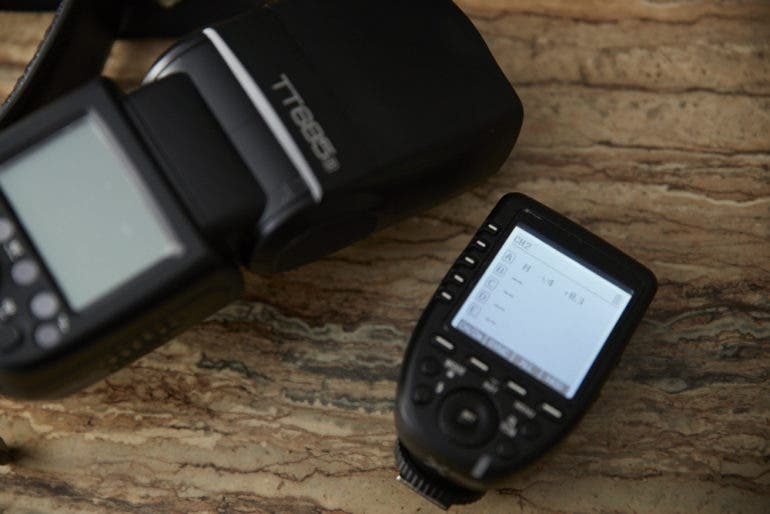 With the new Godox Xpro-N TTL Wireless Flash Trigger, they’re upping their game even more. 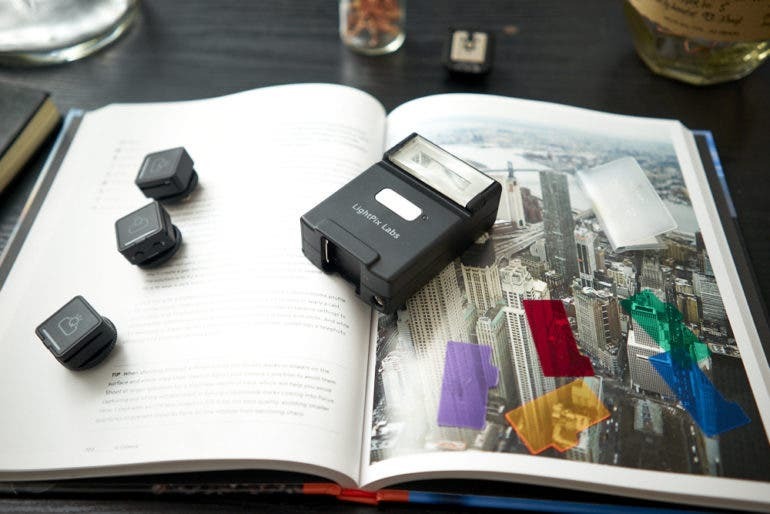 this trigger is designed for use with Nikon DSLRs and lets you use a flash like the Godox TT685s designed for Sony and get TTL with it. Again, you’re using a Nikon camera and transmitter with a Sony specific flash and getting TTL. Crazy, right? It may seem that way, but it works out very well! Unfortunately, there’s also one really big problem that isn’t specific to it, but more to the system. Very few photographic umbrellas have had me confused like the ANGLER Parasail Parabolic umbrella–but after working with this umbrella, its nuances started to become a bit more clear. I mean, look at the thing. It doesn’t look like any sort of umbrella. It’s shaped more like a Roman Centurion’s shield and has the relative rectangular design of a softbox. 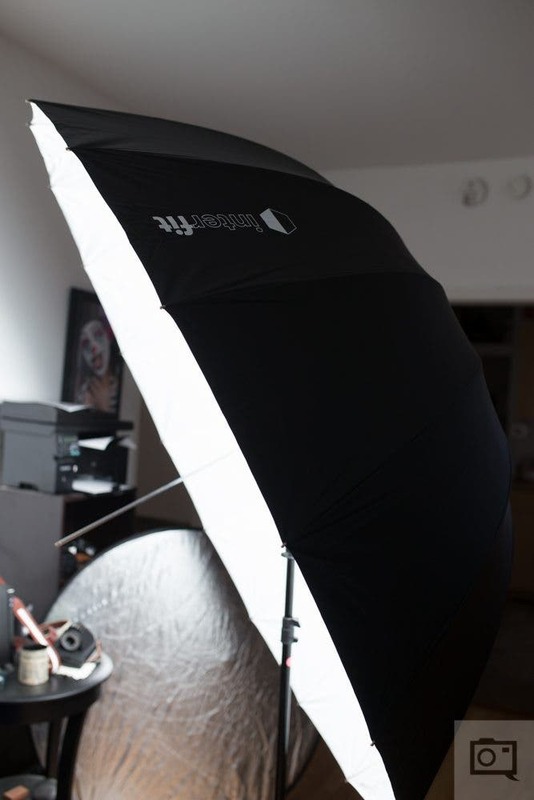 In a world where light modifiers seem to be changing, innovating and overlapping, the target audience for the ANGLER Parasail Parabolic umbrella seems to be those that sometimes need an umbrella and sometimes need a softbox. With its convertible design to be a very soft silver reflection type or a thick opaque white shoot through configuration, the ANGLER Parasail Parabolic umbrella’s best feature is its versatility due to being suspended on a rod and its easy ability to turn one way or another. If you’re a working photographer that uses studio lighting, then chances are that you’ve been considering a light like the Profoto B1X since first hearing about it. Profoto lights are already at the top of the game and all the studios use them, and what makes the Profoto B1X so special is the added versatility over the original Profoto B1 monolights. For example, the modelling light has 50% more power for video users. 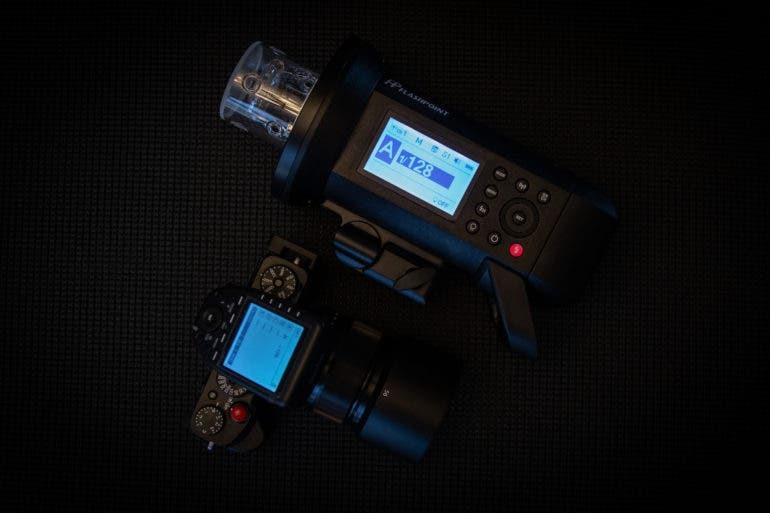 Then there’s the ability to do high speed sync at up to 1/8,000 and with a flash duration of 1/19,000. That’s pretty insane! And then you have to remember Profoto’s color consistency assurance, their Air Remote TTL system, and the solid build quality. I can go on and on about Profoto and how great their lights are and how little extra post-production work you’ll need to do because of how good they are, but the truth is that some folks still have no problems with extra long post-production that I sometimes find to be unnecessary. The Fujifilm EF-X500 flash may be an option for photographers who want and need to use a flash when documenting and doing photojournalistic work; but it absolutely baffles me that a camera company with a fantastic medium format camera system hasn’t started to work with some sort of third party lighting manufacturer like Profoto to get some sort of integration into their system. To be fair, this isn’t Fujifilm alone. Canon’s radio system is crippled. Nikon’s isn’t what it used to be. Sony’s flash system is laughable. Olympus and Panasonic have never had such a great option. Pentax? Don’t even get me started. But Fujifilm–a company with such a decorated history and an entry in the medium format camera system, doesn’t have a solid flash system. The Fujifilm EF-X500 is the company’s answer and attempt at this market but in many ways the company failed out of the gate. But in other ways, they’re not doing such a terrible job and I’m just being extra critical and venting via my own blog. Today, Interfit is announcing their new Interfit Honey Badger Monolight that is designed to function as an affordable option for someone that needs both a monolight and a constant light. 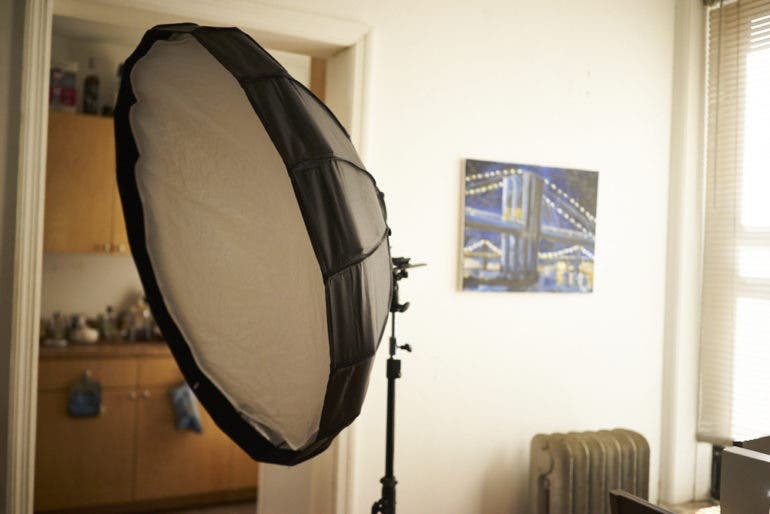 In fact, we’re talking about a $299 price point with a softbox included. Now, the Interfit Honey Badger doesn’t have a built in battery–which would put it over the top. But if you’re right by a power source it shouldn’t be that difficult to work with. Instead, the Interfit Honey Badger will appeal most to the photographers who work in a given studio location that doesn’t really change vs those who do location work. 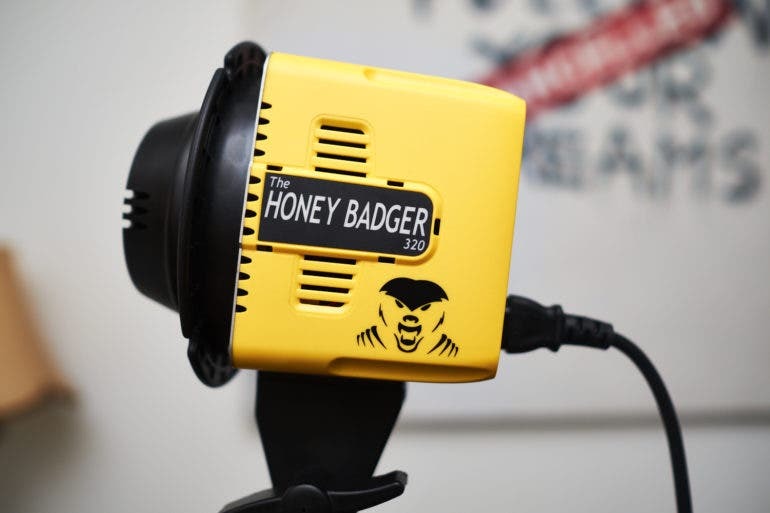 To add extra value to the Interfit Honey Badger the light can be controlled with their transmitter wirelessly and also act as a constant light. It doesn’t offer TTL output and only has a flash duration of 1/900th; but if you’re shooting in a studio then you’re doing everything you can to control the light output as it is. So let’s dive into this review. 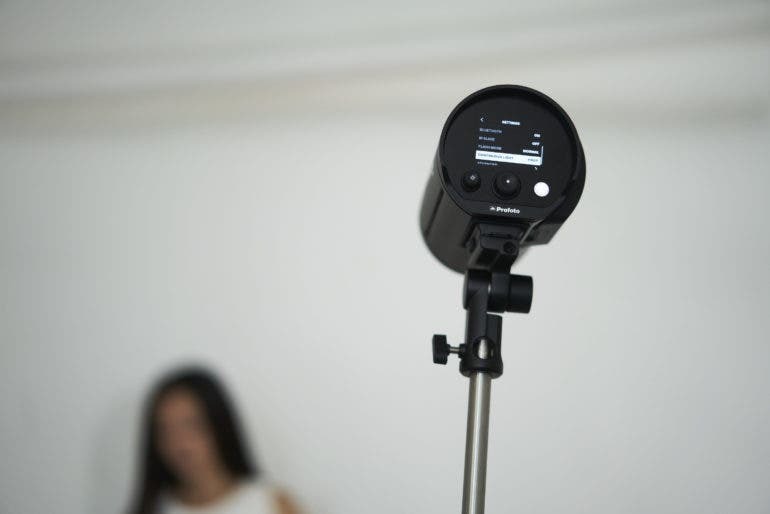 The FlashQ Q20 is a response to the need for small, simple to use flashes that also do double duty as LED lights. 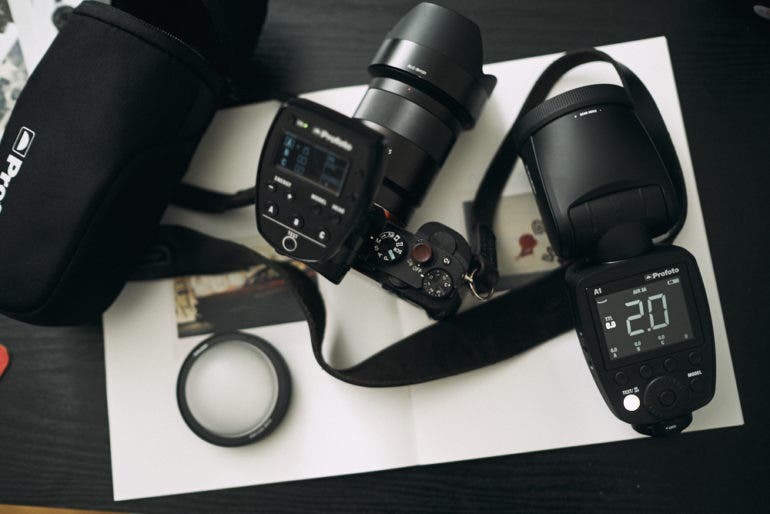 For today’s creative content creator, it’s a dream–but the implementation of the FlashQ Q20 is something far more likely to be in the hands of an amateur or photographer getting started than an actual working photog. To be fair, it doesn’t seem like it was designed to take on the likes of Adorama’s Flashpoint, B&H Photo’s Impact, Godox, Yongnuo, etc. Instead, the FlashQ Q20 sort of fills a totally different niche. Though it’s marketed as being versatile and easy to use, my independent analysis believes the opposite to actually be true–to a point. There has been a growing trend in photography leaning more towards working with constant lighting vs strobe; and the Westcott Flex Bi-Color mat seems to really cater to that thought process. I mean, just look at lots of the photography out there and how much it’s involving the use of neon lighting with a portrait subject these days. There’s sure a look there that isn’t very easy to do with strobe. Though for what it’s worth, the Flex Bi-Color isn’t really designed to deliver “that” look. Instead, think of it as a giant Rogue Flashbender with LED Lights built in, a very solid frame, and a very simple control interface. Then consider that the light temperature works in the same way that color temperature works with none of the tinting abilities and absolutely no reasonable way to gel the light. 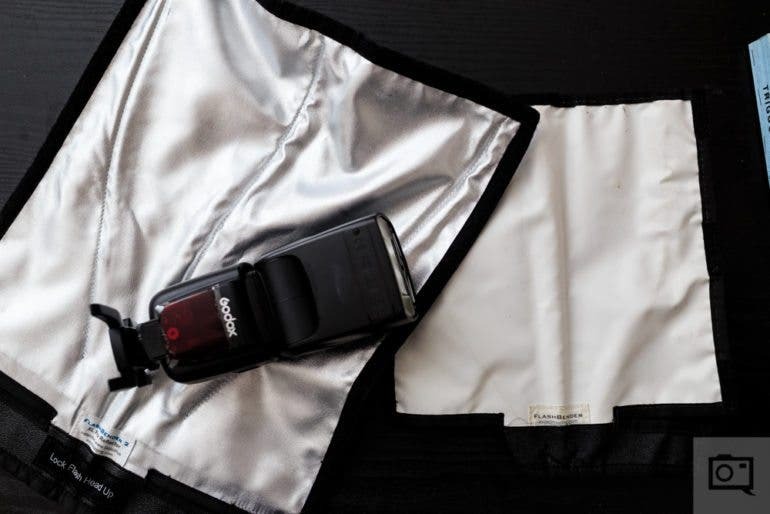 There’s been a trend in beauty dish creation over the past few years that the Pictools Folding beauty dish really adheres to: good quality while being easy to put together and use. To boot, the beauty dish is also fairly compact when fully collapsed. It goes into its own bag and can be assembled fairly quickly if you’re just a bit patient with some of its oddities. What you’ll be rewarded with is a pretty awesome beauty dish that I personally feel works better as an octabank; and quite a sturdy one too! 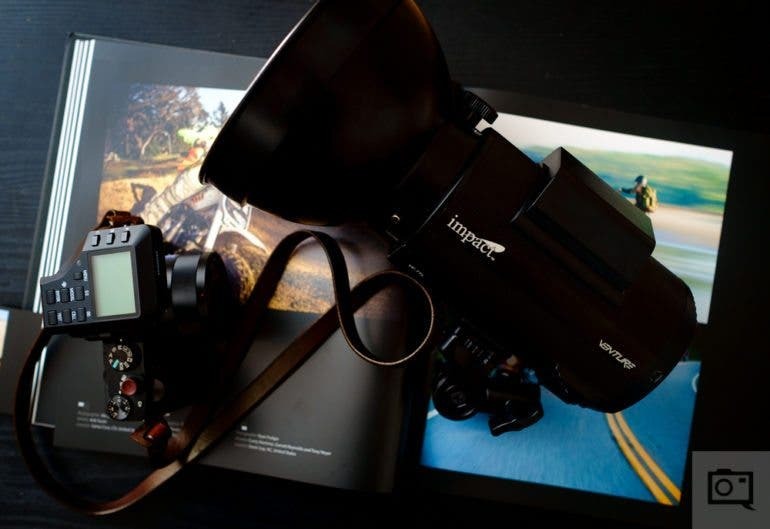 In the past few years, Sony has been receiving more and more third party support in terms of flash support–Godox, Flashpoint, Phottix, Profoto and others have started supporting the system and the new Impact Venture VE-TTL monolight is one of the latest offerings to offer TTL support with Sony’s flash system. Designed for professional photographers and semi-professionals, this flash system offers lots of power in one of the smallest packages I’ve ever seen. With 600 watt seconds of output, it’s incredibly capable and designed amazingly well. Impact is a B&H Photo house brand and they’ve had products of varying degrees over the past few years. The LiteTrek and the original Powersyncs are some of the best. I saw this light at their offices a while back, and quite honestly became very excited and intrigued. And as a Sony shooter that emphasizes the use of a minimal kit but the right lights to deliver my creative vision, I’m thoroughly impressed by the light. 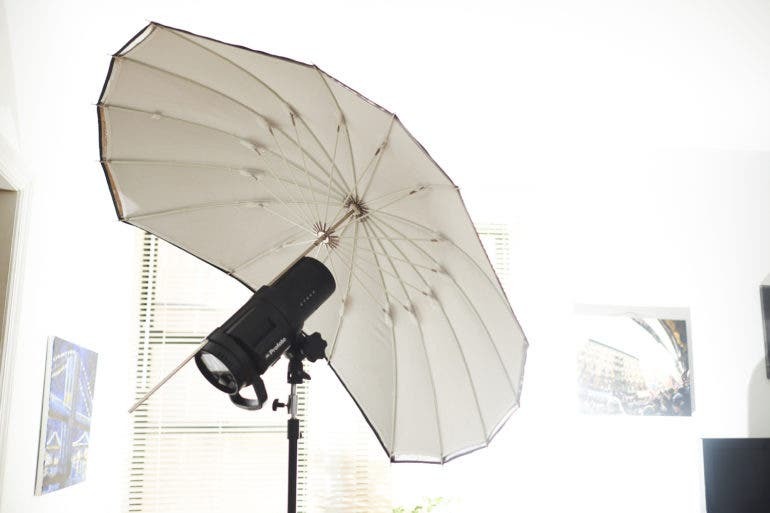 Umbrellas are by far my favorite lighting modifiers due to the variety of looks they can deliver–and the latest from Interfit is surely no exception to the rule. Their 65″ Parabolic White Umbrella is great for working with portrait subjects but it’s also quite solid when it comes to build quality and overall versatility. Of course, this isn’t a true adjustable parabolic but it can deliver that look. This just makes sense though as Interfit has been trying to take higher end concepts and make them more affordable to the semi-professional photographer for a while. So in truth, I wasn’t sure what to expect but what I got was quite a surprise.